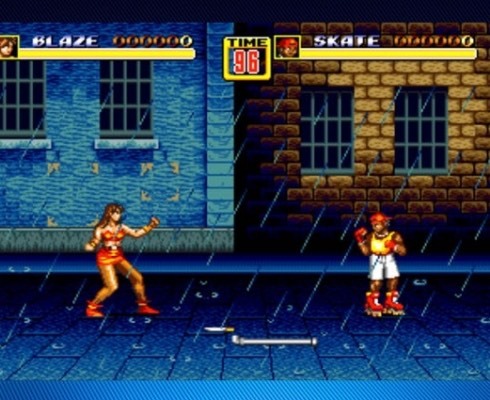 The original Streets of Rage sends musical shivers down my spine. I remember so clearly as if it were yesterday, coming across the first boss fight to hear an actual voice clip repeated that went along with the tune. So mind bogglingly simple, but at the time it was just amazing for me. 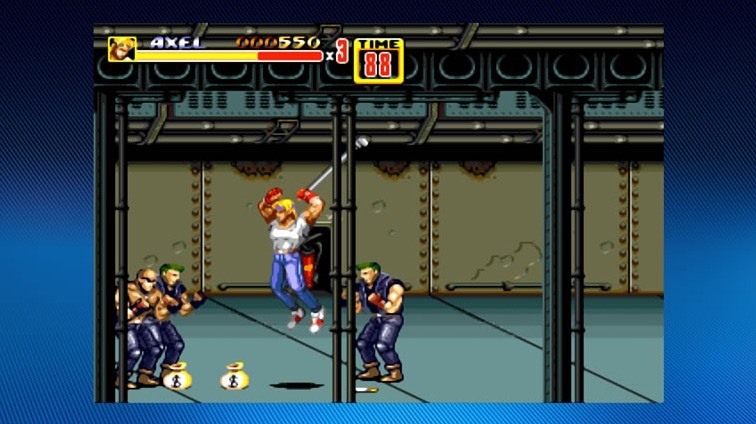 Streets of Rage 2 (or if you lived in Japan named ‘Bare Knuckle II’) revived the beat ’em up style of the original, however you had a much closer view of your character and just like most sequels, felt more refined. 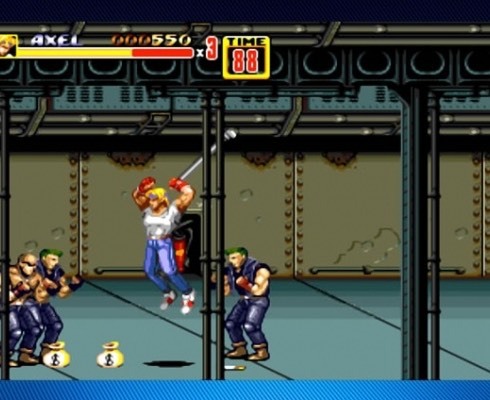 Released in 1993 on the SEGA Megadrive (Genesis), this console yet again performed admirably with pounding music, tantalising 2D graphics and a suitable gang culture theme. 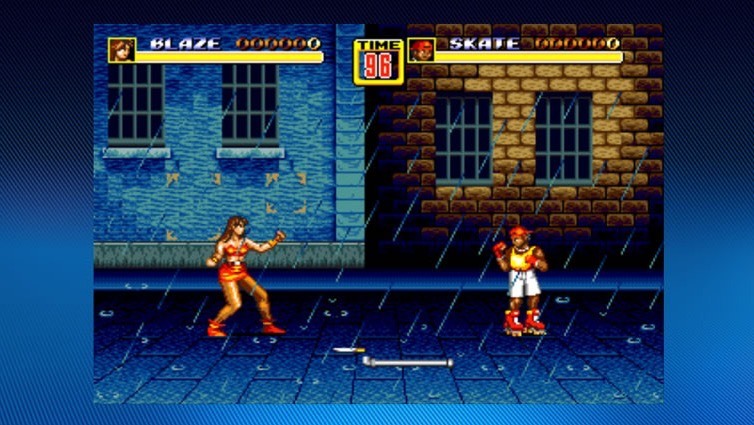 Whether using your fists, swinging pipes, throwing knives or kicking in the air, Streets of Rage 2 was the single player co-operative game of its time. 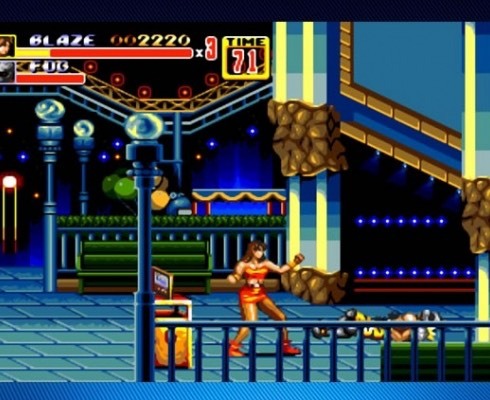 Of course there wasn’t a way of playing this baby online in those days, however with the Xbox Live Arcade version, our dreams have been realised in this revamp. Well I say revamp, although you do receive the usual achievements and graphical enhancement through a clever filter (optional), you don’t actual see any real alterations to improve the sound or visuals. What they have done however is to give us the opportunity of finally being able to go through the game with a friend, not sat next to us, oh no we have come too far for just that basic option, but online as well! 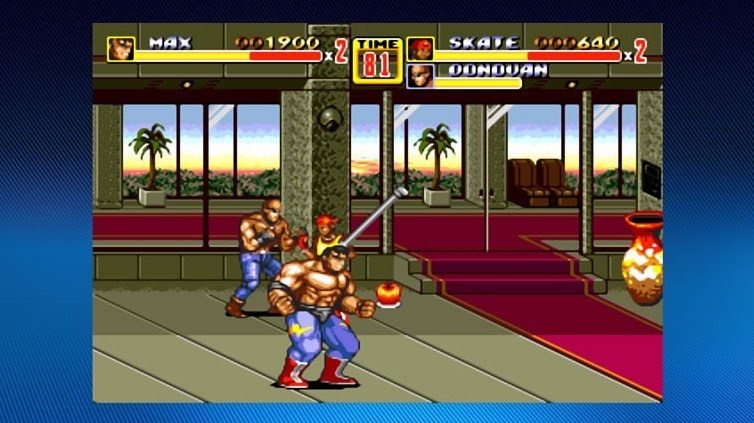 Just like Golden Axe (another fantastic Xbox Live Arcade game), you can enjoy single player co-operative play and even in this title, delight in smacking your friend around a bit in a one on one scenario. Roaming mostly from left to right in a limited space, you fight your way through wave after wave of enemies (all with unique names I might add), dodging motorcycles, avoiding holes in the ground until you reach your final moment of truth. Can you beat someone with a machine gun? 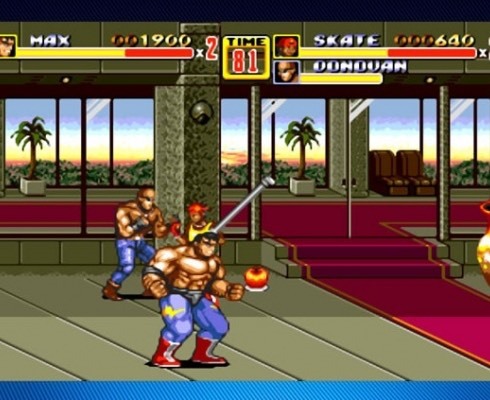 Play as characters Blaze, Skate, Max, or Axel to rid the world of Dr. X. Alright not the most inventive of sinister opponents, but trust me, this game is where it is at. I spent so many hours in my youth traversing the 2D levels with a friend and now I can relive that experience yet again over Xbox Live with a whole new set of people. 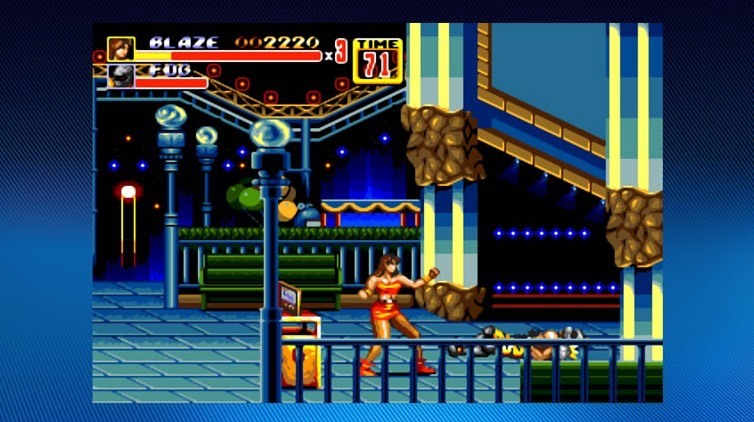 Yes nostalgia has truly set in for me, but Streets of Rage 2 is certainly worth a look.